Stimulate the imagination and promote creative thinking, through real-world themes captured in entertaining stories. Build literacy skills by engaging students in high-interest, appropriately levelled original and adapted fiction. 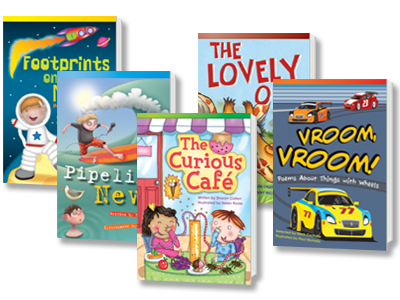 Grow reading skills gradually and appropriately with increasingly complex vocabulary, sentence structures, plots, characters, literary devices, and illustrations.